Next Saturday, May 12th, we will celebrate the World Migratory Bird Day. 2018 is an important transition year in the history of World Migratory Bird Day - unifying the planet’s major migratory bird corridors, or flyways: the African-Eurasian flyway, the East Asian-Australasian flyway, and the Americas flyways. Celebrated from now on twice a year, on the Second Saturday in May and in October, WMBD aims to reach out to a broader audience and amplify its message for bird conservation. As a new global platform that unifies efforts worldwide, WMBD will be reinforcing education and awareness-raising about the need to protect migratory birds and their habitats - at all different levels, in all parts of the world. Conserving migrant birds is a global challenge that is addressed by the Convention on the Conservation of Migratory Species (CMS), an environmental treaty under the aegis of the UN Environment. CMS brings together countries and the wider international conservation community to achieve coordinated conservation and management of migratory animals (amongst other birds) throughout their entire distribution ranges. Waterbirds are species ecologically dependent on wetlands for at least part of their annual cycle, including many species of divers, grebes, pelicans, cormorants, herons, storks, rails, ibises, spoonbills, flamingos, ducks, swans, geese, cranes, shorebirds, gulls, terns, tropic birds, auks, frigate birds and even the south African penguin. The main threats faced by waterbirds are habitat loss, illegal killing, collisions with aerial structures and electrocution by power lines. Some soaring waterbirds like storks concentrate during sea crossing at bottleneck areas - such as at the Strait of Gibraltar, the Bosphorus, etc. All 254 AEWA species cross international boundaries during their migrations and require good quality habitat for breeding as well as a network of suitable sites to support their annual journeys. International cooperation across their entire migratory range is therefore essential for the conservation and management of migratory waterbird populations and the habitats on which they depend. Action plans for endangered species is one of the main tools to ensure the future of those species. Long-term datasets show that African-Eurasian landbirds are declining rapidly. The species that breed on agricultural and farmland areas and have to cross the Sahara to winter in open savannahs are most affected. Migrant birds are likely to be more susceptible to environmental change than resident ones, as their complex annual cycle, long-distance migrations and dependence on different sites at different times expose them to multiple threats. Experts consider that changing land-use, driven by rapid demographic expansion in Africa, is the most important factor affecting African-Eurasian landbirds across the breeding and non-breeding grounds. Landbirds don’t generally concentrate together but disperse in suitable habitats, which makes their conservation even more challenging. 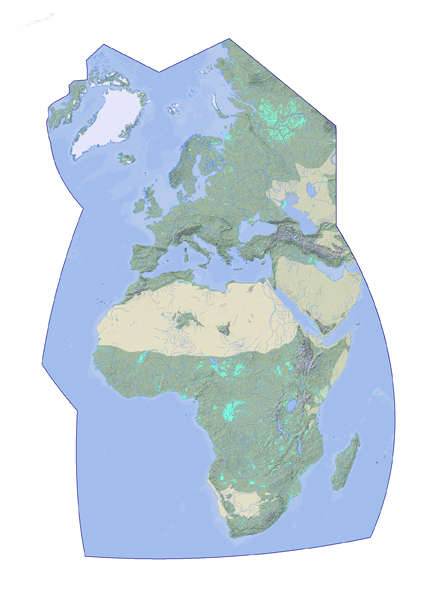 Hence a broad landscape approach is needed for their conservation. Unsustainable taking and climate change are additional threats.